Apparently that means "No Parking" in French, at least according to the Google search I did for it. I assumed that, but wanted to confirm. This was a scene I saw from a cab in Montreal as I left my hotel there. I made a mental note to return on foot to shoot it. 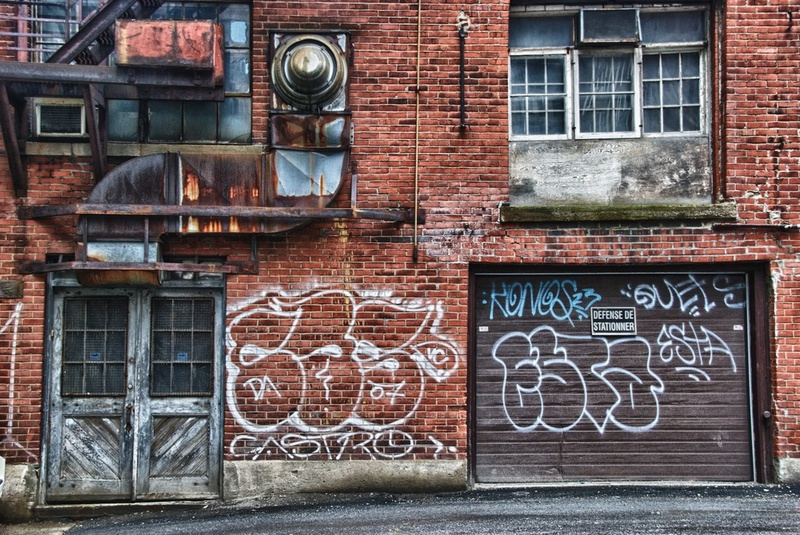 Being a guy who likes graffiti, and grit and grungy stuff (at least for photographic reasons!!) I hunted it down later. It only took a few peeks around corners, and a few looks into some alleys, and voila!